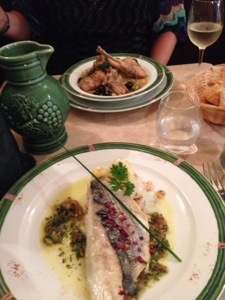 This summer’s two week trip to France was magnificent in so many ways. 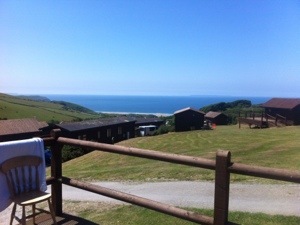 Wonderful food, sumptuous wine, delightful accommodation and spectacular scenery. If it hadn’t been for a puncture and shredded tyre at the end of the first week, and an eventful drive home (for all the wrong reasons!) it would have been perfect. First lets get the bad stuff out of the way! If you need a new tyre in France head for Super Pneus – the service at the Chinon workshop was first class… My own tyre changing skills weren’t too shabby either! And if that wasn’t enough, a damaged air flow regulator certainly made for an interesting and often terrifying 7 hour drive from Sancerre to Calais. We managed to trickle onto Le Shuttle… The car appeared to give up on a bridge 2km short of the station but we talked to it nicely and just about made it. 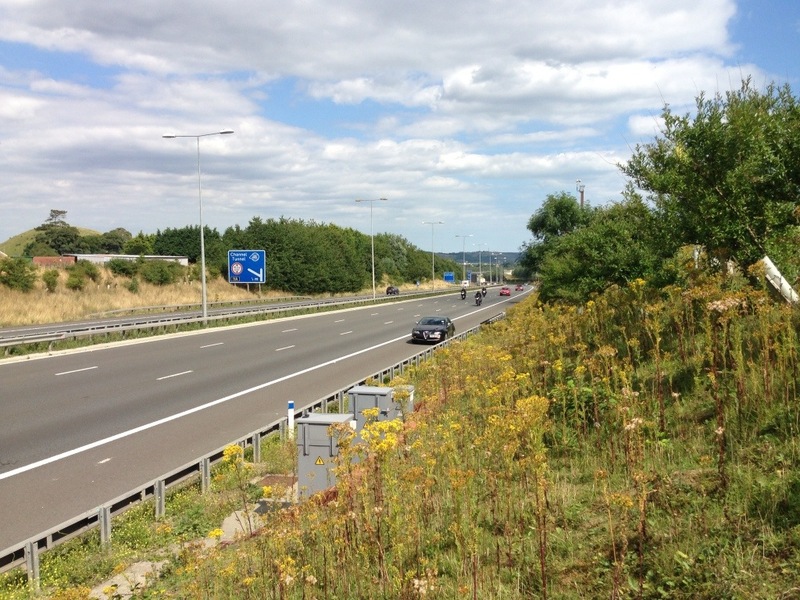 Less than a mile up the M20 on the other side, the car decided enough was enough and a call to the RAC was required. 90 minutes later, Jason had us all patched up well enough to get us home and breath a huge sigh of relief… And a big glass of wine! And now the good stuff. It takes a balance of things to make a holiday and in the sections below I’ve highlighted some great accommodation, wonderful places to eat as well as some recommended wineries to visit (I’ve also included links to more in depth articles from individual visits). 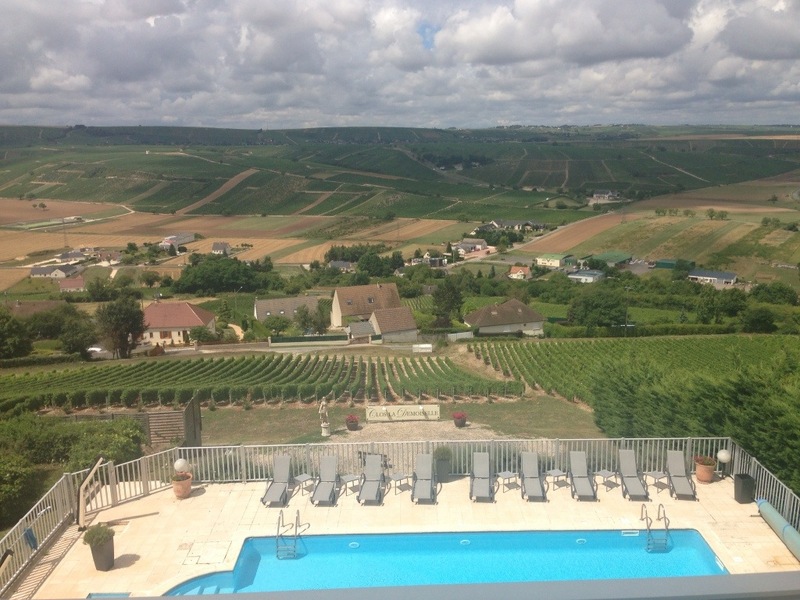 I apologise that this has turned into a very long article as I have also given you some recommendations for the Rhone, Burgundy and Champagne from last’s year, just in case you’re planning a visit. 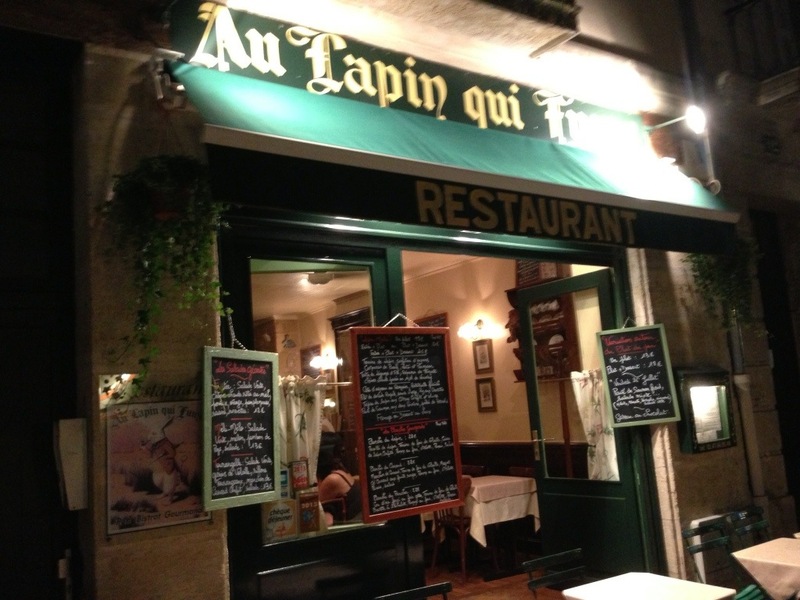 For all of the fancy addresses on the left bank of the Gironde, there are very few places to stay! Margaux and St Julien are pretty enough but there’s not much going on, Pauillac is trying to turn itself into a tourist area but it’s all happening slowly. You could always stay in Bordeaux city and travel the hour up the D2 every day for your visits but that’s no good if you want some peace and quiet! Wherever you decide to stay you’ll need a car (or chauffeur!) 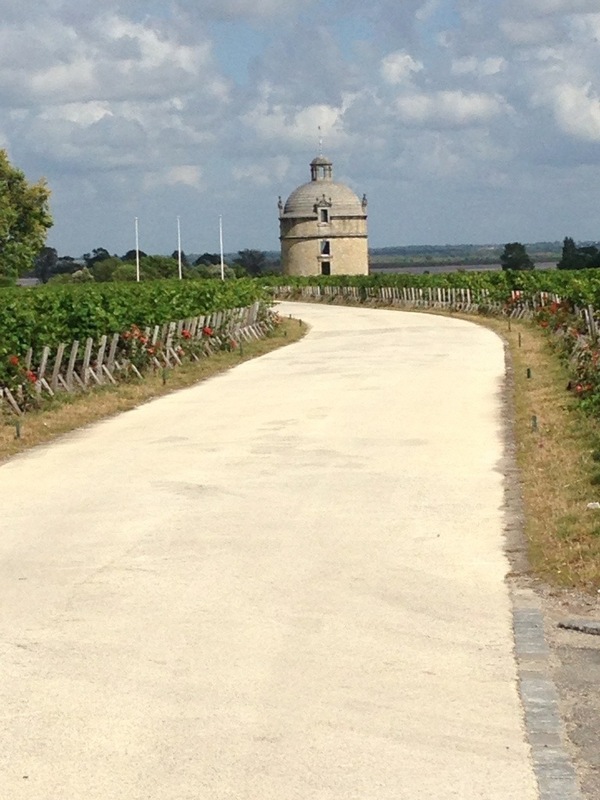 to tour the Medoc. If you phone or email in advance you won’t be disappointed. The standard of the tours we encountered were of the highest quality. 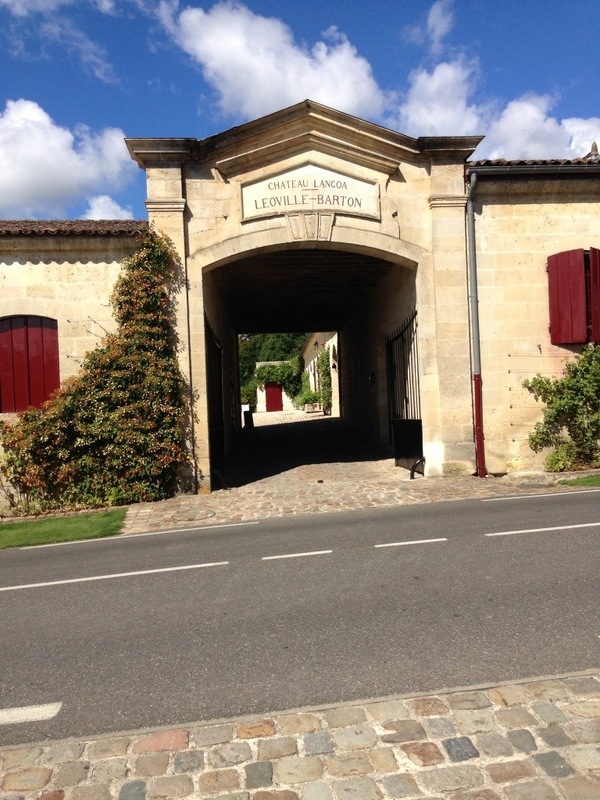 If I were to pick a favourite it would have to be the juxtaposition of old and new at Chateau Pichon Longueville-Baron, but Langoa Barton, Cantenac Brown and Lynch Bages were all top notch. Quite honestly I just can’t wait to go back. 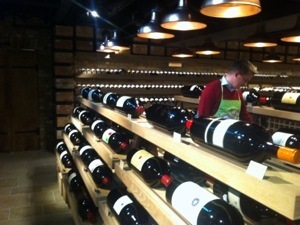 A special place with a special atmosphere, and a must visit for any lover of wine. My favourite stat is that there is a wine shop for every 8 residents! 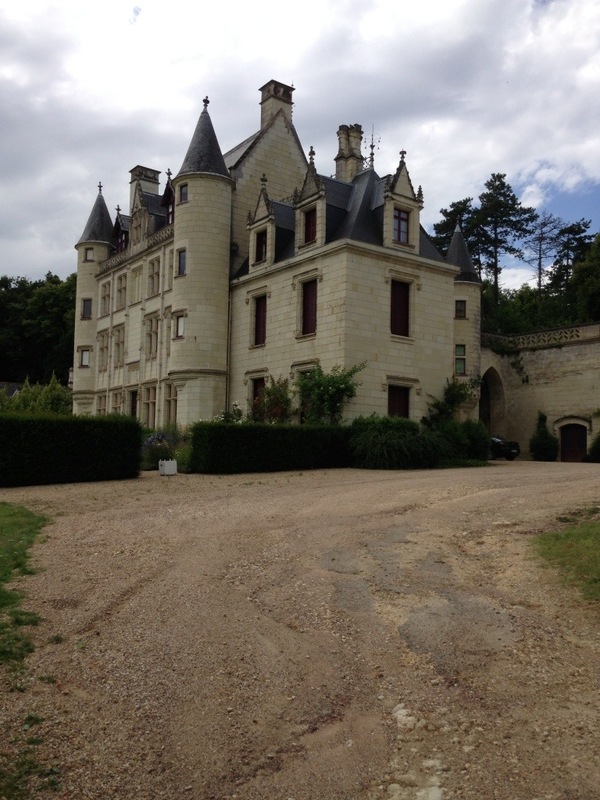 I thoroughly enjoyed our tour round the Premier Grand Cru Classe Chateau Figeac, but Chateau Fonplegade, only 5 minutes from the centre of town, is well worth a visit. 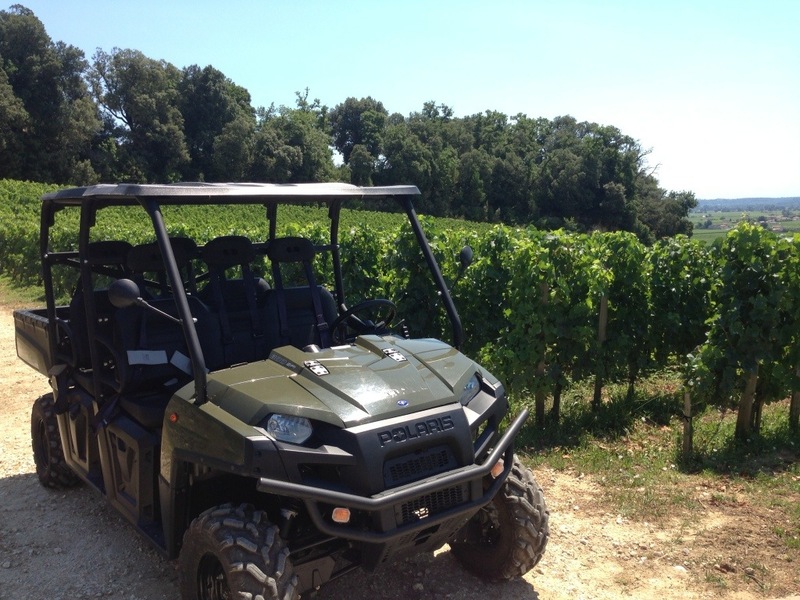 The American owner knows how to treat visitors and the spin in the buggy around the vineyard is fantastic. 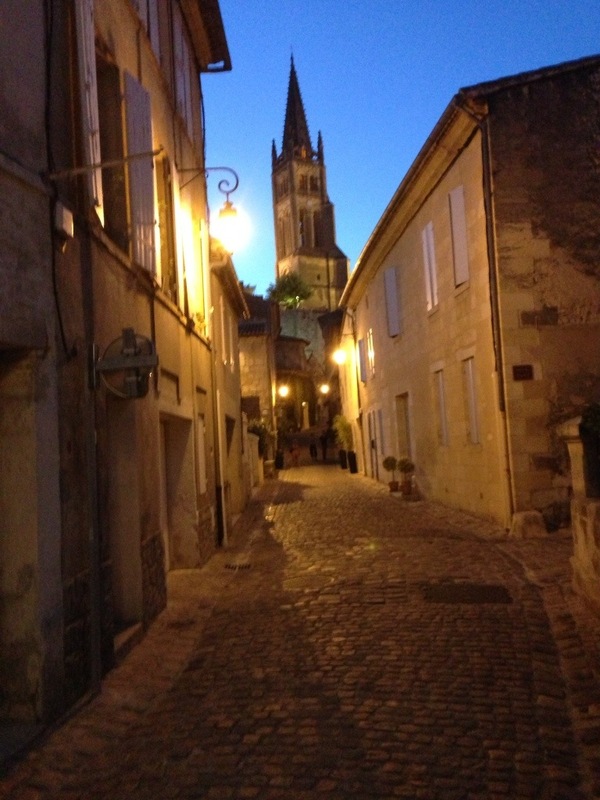 We spent four days in the delightful medieval city of Chinon. I found the pace extremely relaxing and the people extremely friendly. The city has a great mix of bars and restaurants as well as plenty of history to explore and discover. The region may be better known for its red wines made with Cabernet Franc, but I was very taken with the white Chenin Blancs. 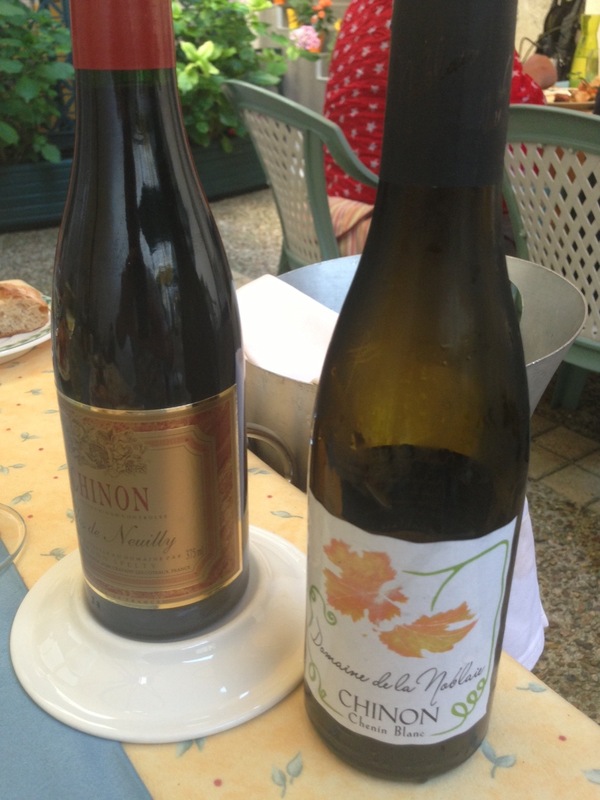 We struck lucky twice on our stop in the central Loire with 2 excellent tastings. 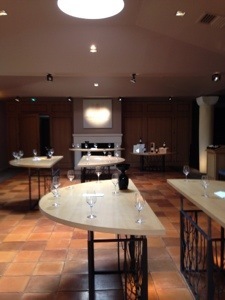 The first was at Langlois Chateau just outside Saumur, which was a 2 hour lecture, tour and tasting of 10 wines. 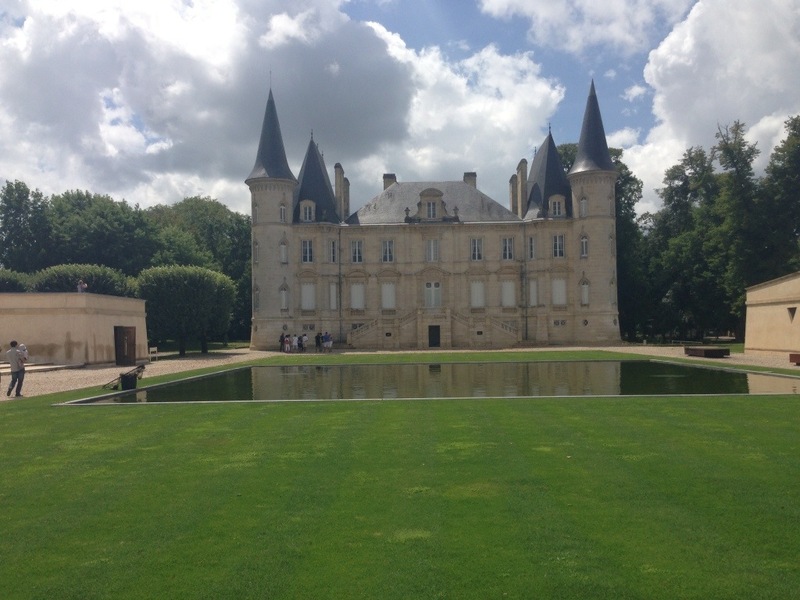 The second was at Chateau du Petit Thouars, 10 minutes from Chinon, where we met a fantastically passionate winemaker and tries possibly the best value fizz on France. The home of Sauvignon Blanc and a lovely little town perched on a hill. The views around here are fabulous, with panorama points laid out around the village. There’s not a whole lot going on but it’s a very relaxing place to spend a few days. 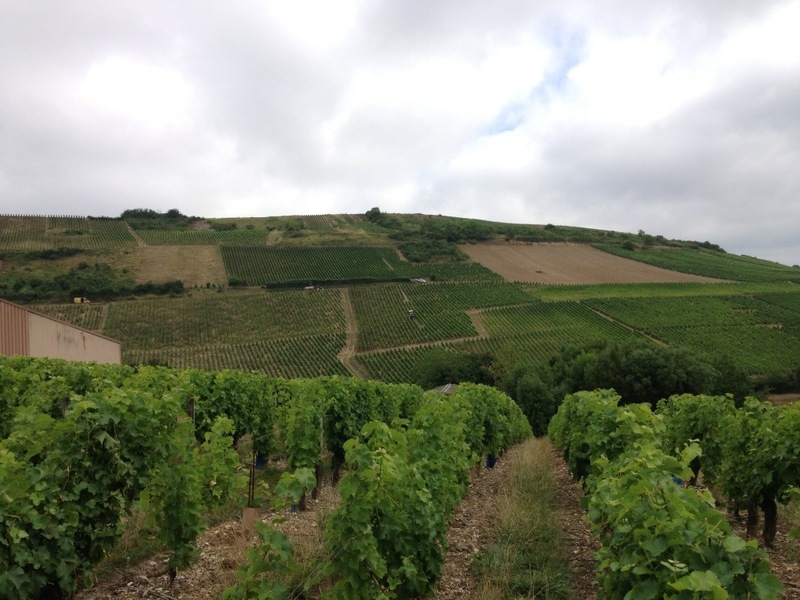 As it was our last stop the furthest away we got was 2 miles down the road to Chavignol for a visit to Henri Bourgeois and we didn’t venture over to Pouilly. I’ve been here twice now and can safely say it is my favourite place in the world! For me it is the home of wine and I love everything about it. There is a dramatic atmosphere in Beaune and wine flows out of its every pore… I have to stop writing as it is making me want to return! 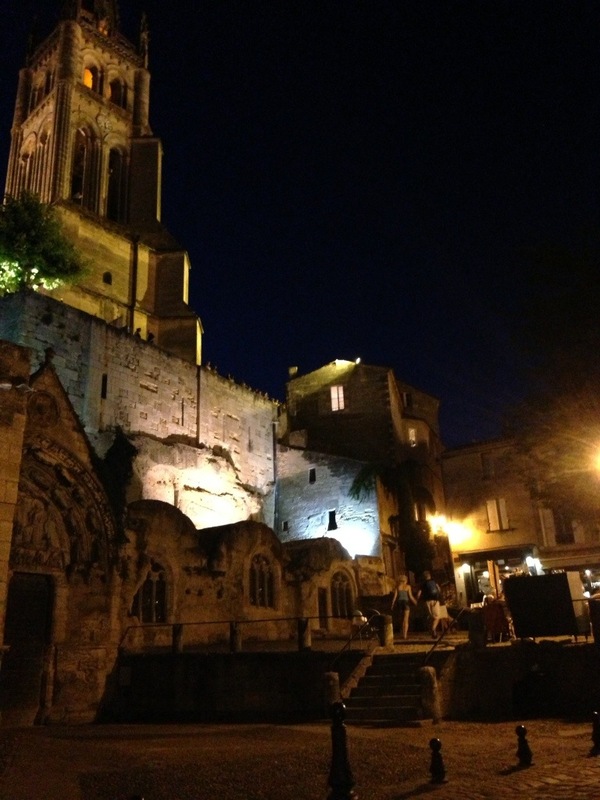 We were initially going to stay in Avignon but I’m so glad we decided on sleepy Vacqueyras. 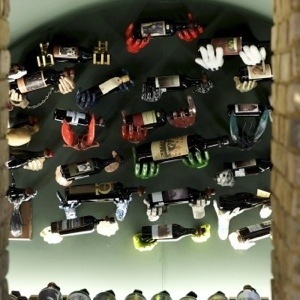 A couple of hotels, a couple of restaurants, a few shops and loads of winemakers… What’s not to like? 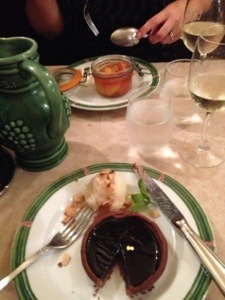 There are only 2 restaurants in the village and they’re both excellent! 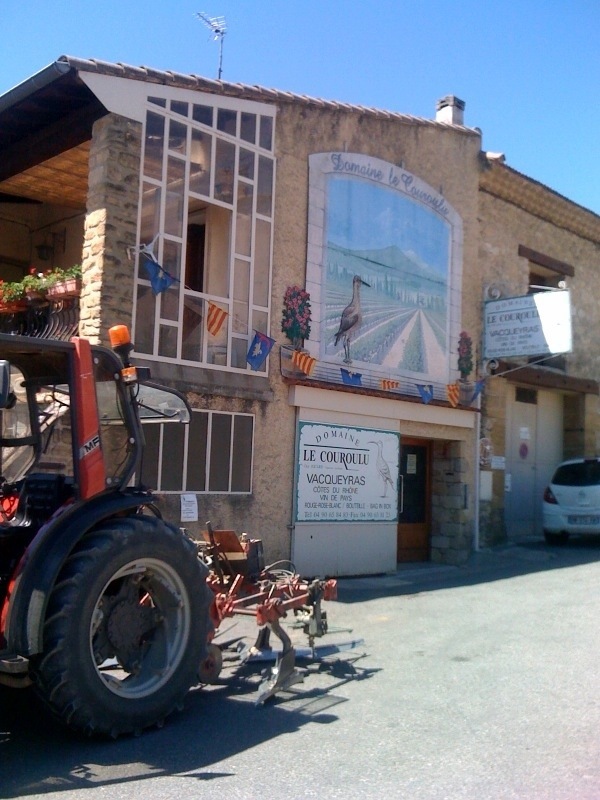 Domaine le Couroulu’s tasting room is situated smack-bang in the middle of the village and offers a delightful tasting of rose, white and red Vacqueyras (it is the only appellation in the Rhone with AOC for all 3 colours). 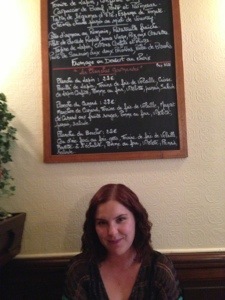 Their Cotes-du Rhone rocks but their Villies Vignes is sublime. When you park in a public car park to get your bearings and realise you are at the foot of the great hill of Hermitage, you know this is going to be a good stay. 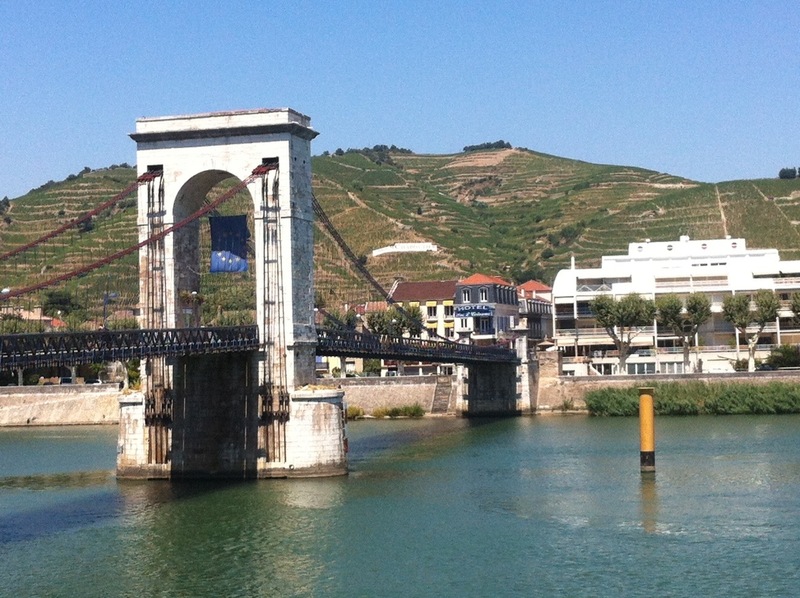 Tain is very bustly but don’t leave it too late to discover Tournon on the other side of the footbridge over the Rhone. Sometimes things just work out right. 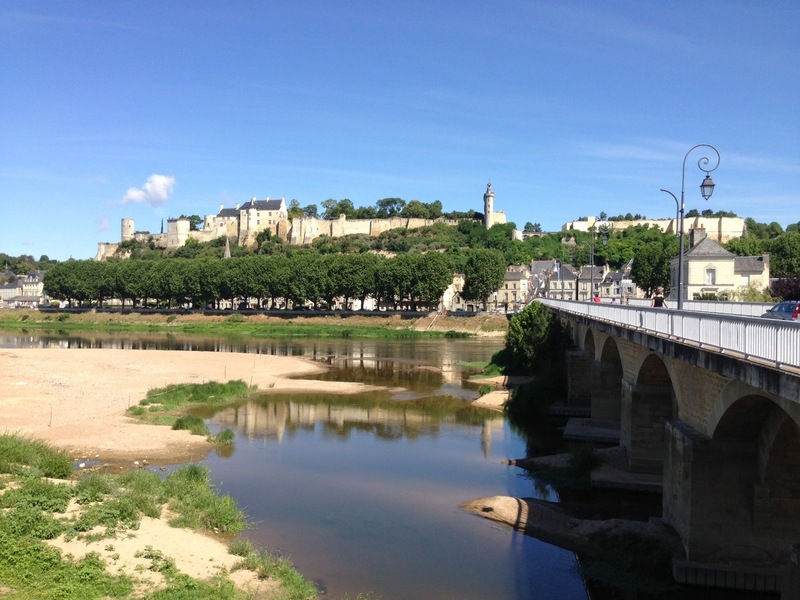 I was sitting at a cafe in the centre of Chinon on Sunday afternoon and decided to let the world know about it through the medium of Twitter. 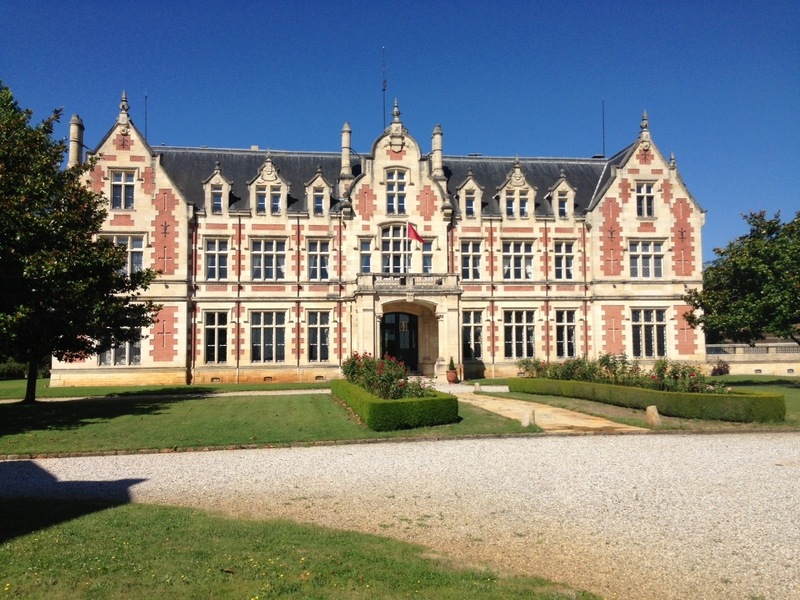 The next thing I knew, I received a response from Chateau du Petit Thouars (@chateaudptwines) and had arranged a visit for the following Tuesday… And what a great appointment that proved to be! 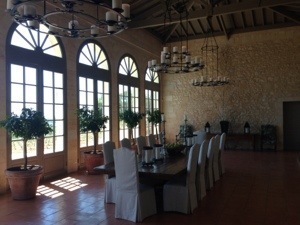 We were welcomed at the beautiful chateau by winemaker Michel Pinard and the gorgeous chateau dog, Forlan (named after the Uruguayan footballer). Michel was the perfect host and his company was an absolute pleasure. 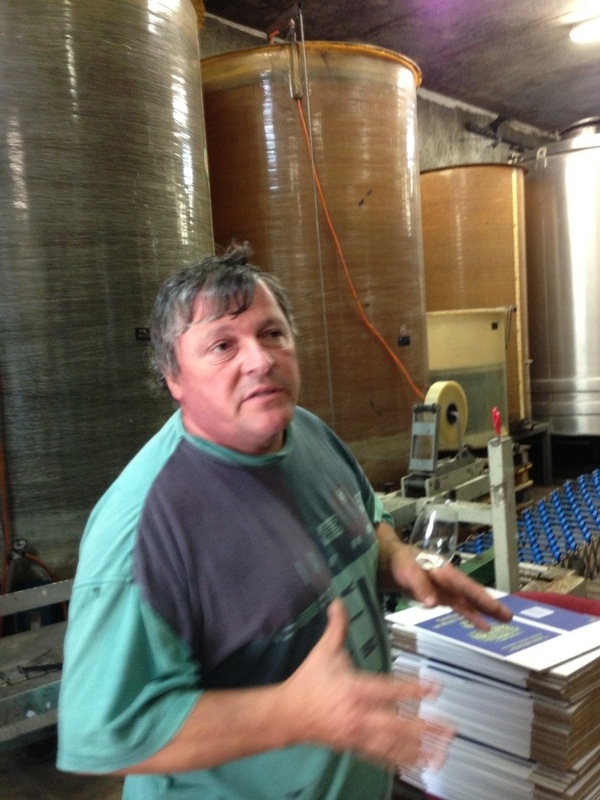 Michel is originally from the north west of France and moved south to learn about wines, including stints at Chateau Ausone in St Emilion as well as leading Chinon domaine Charles Joguet; he has been the winemaker at Chateau du Petit Thouars since 2007. I hadn’t realised that the wines of the chateau were classified as AOC Touraine, as the vineyard sits outside the original Chinon borders, even though it only a 15 minute drive from the centre of the town. I have since read that the borders have recently been amended and Chateau du Petit Thouars will be able to use AOC Chinon on its label from the 2014 vintage. 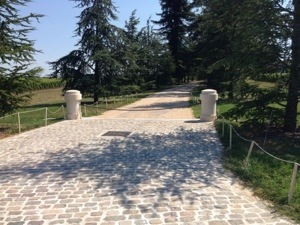 The estate only has 15 hectares under vine and until 2012 only produced wines using Cabernet Franc. The 2012 release will see the debut of the estate’s Chenin Blanc output, which will be an ambitious oaked white, which I am very much looking forward to trying. 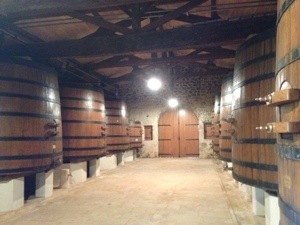 The real beauty of the domaine however comes in the winemaking cave. 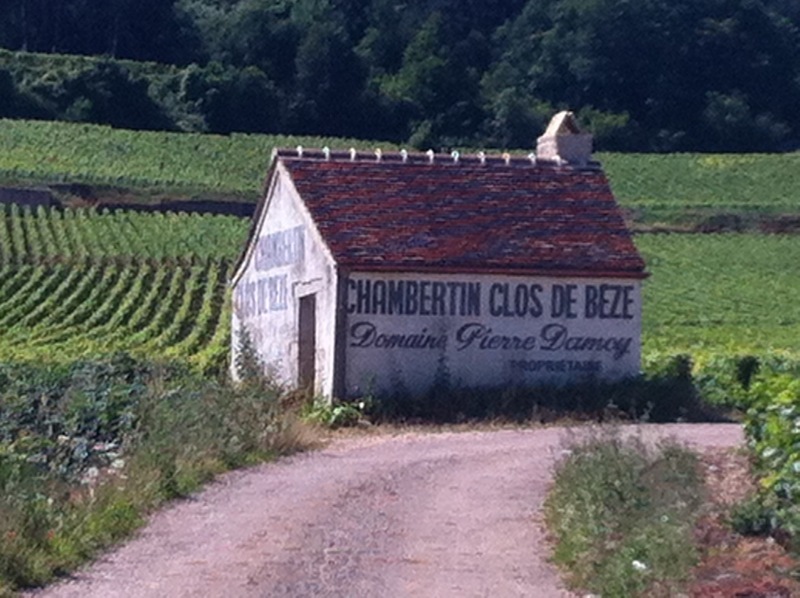 After spending a week in the shiny, polished cellars of Bordeaux, this was quite an experience. There is no temperature control system except that of nature. 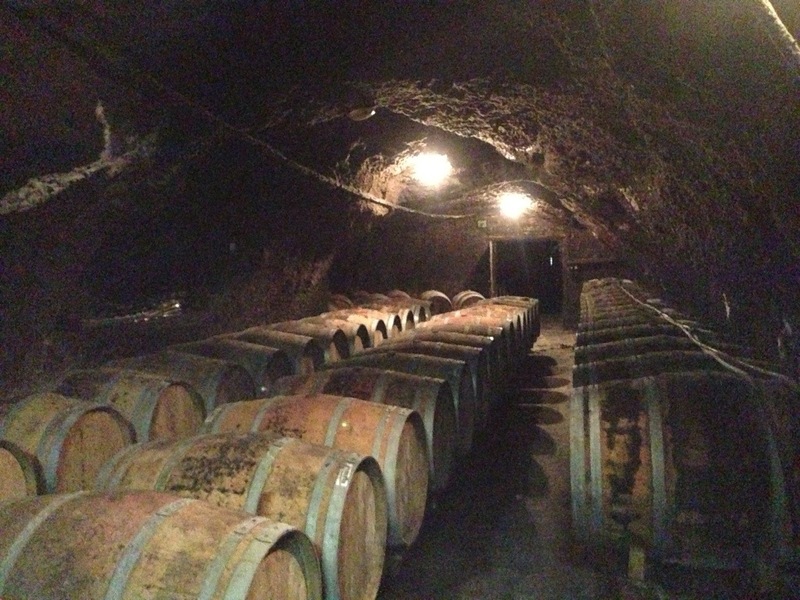 The caves keep a constant cool temperature and the mould growing on the cellar walls and ceiling provides the perfect natural conditions for making wines. Michel scaled some mould off the walls to show us where the natural wine tannin has stained the walls – he believes in letting the terroir do the talking. 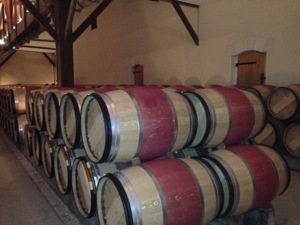 Michel is also making age worthy wines and won’t release them until they are ready. We tried the 2011 Reserve selection which is still ageing in one of the steel tanks; I asked when it will be ready and Michel’s reply was simple: “I will only know if I keep on tasting it”. It was a humbling experience to talk to such a talented and passionate winemaker about his craft and his wines, which were patented to us by his daughter. 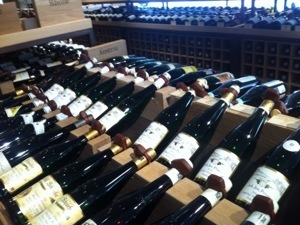 And the wines? 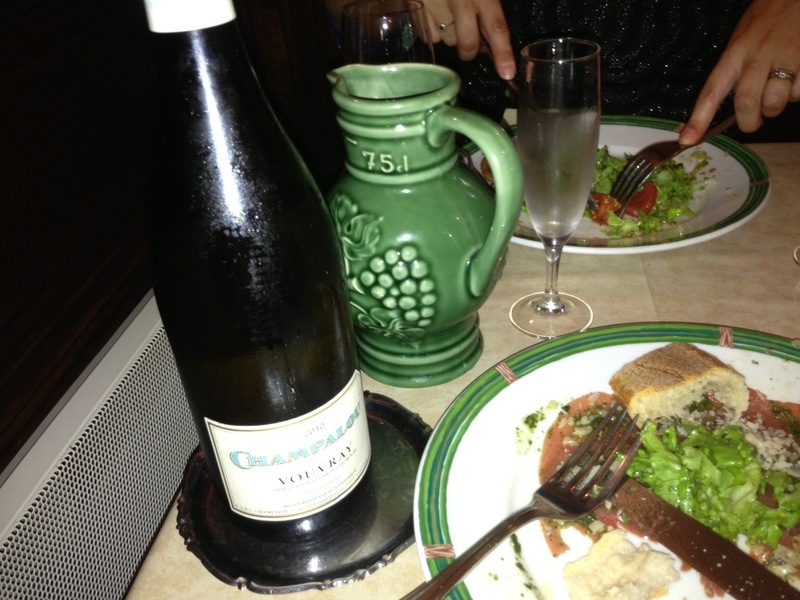 Well they certainly spoke of the tenderness and patience that has gone into the cation of these very old world wines. Merci Michel. 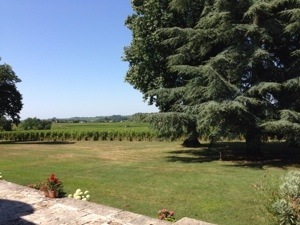 Its hard to believe that St Emilion and the Medoc can fall under the same generic banner of Bordeaux. For all its majestic chateaux and swanky addresses, there is very little else to the Medoc… St Emilion on the other hand is absolutely stunning! 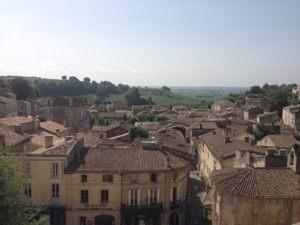 Set amid the most attractive landscape of rolling hillside, St Emilion and it’s surrounding vineyards was the first wine region to be designated a UNESCO World Heritage Site in 1999. While the average size if a vineyard in the Medoc is around 40 hectares, in St Emilion this figure shrinks down to 5 hectares. 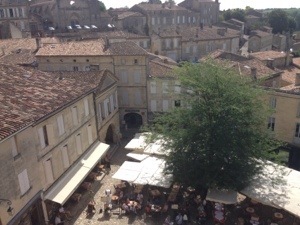 There is actually more to St Emilion than wine, even though it is said there is a wine shop for every eight residents of the town! St Emilion is steeped in history and is named after an 8th century monk – if you ever have the fortune to visit this amazing place then be sure to sign up for a guided tour of the biggest monolithic church in Europe, catacombs and hermitage crypt – signing up is the only way to see these spectacular sites due to ownership rules after the French Revolution. The cobbled streets are also a wonderful place to gently stroll through, with enough wine shops, bars and restaurants to last a lifetime! 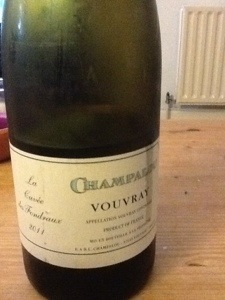 And the wine is sumptuous. My only real experience of top quality right bank Bordeaux was at a 1995 horizontal tasting earlier this year; out of the 10 wines tasted, two of them came from the right bank of the Gironde, and they were my top 2 wines of the evening. 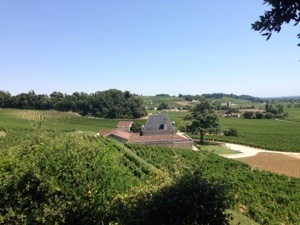 The Cheval Balanc from St Emilion and the Trotonoy from Pomerol shone brightly above their right bank cousins, which included Mouton Rosthchild. So it was no real surprise to me that I have fallen head over heels for these (mostly) Merlot dominated wines. 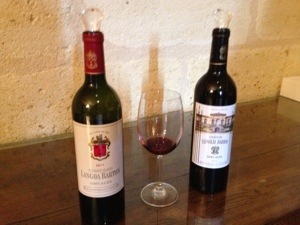 The wines of St Emilion were first classified in 1955 and are updated every 10 years (with a few exceptions). The latest classification was announced in Autumn 2012. 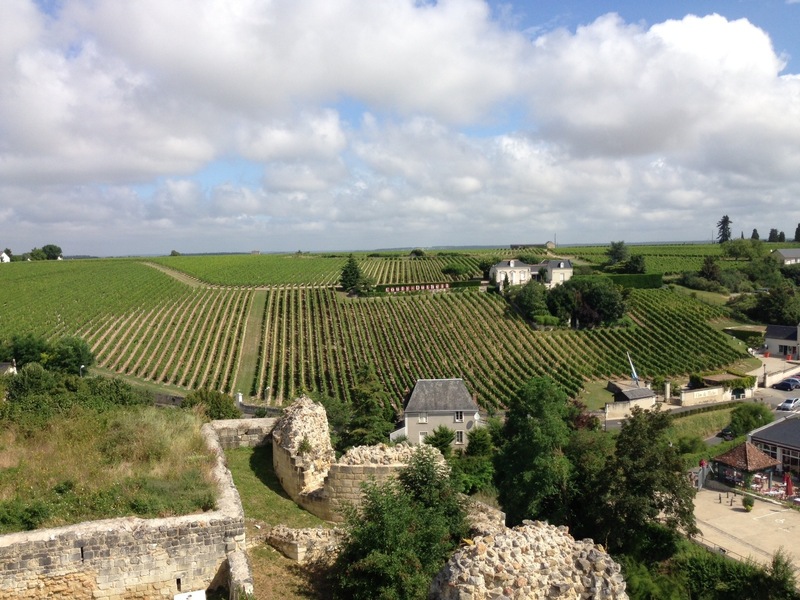 At the bottom of the pyramid is the generic St Emilion appellation, then comes Grand Cru, Grand Cru Classes (64 estates), and finally Premier Grand Crus Classes (18 estates)…. which are divided in to Premier Grand Crus Classes “A” for the very best (Cheval Blanc, Ausone, Angelus, Pavie) and Premier Grand Crus Classes “B”. 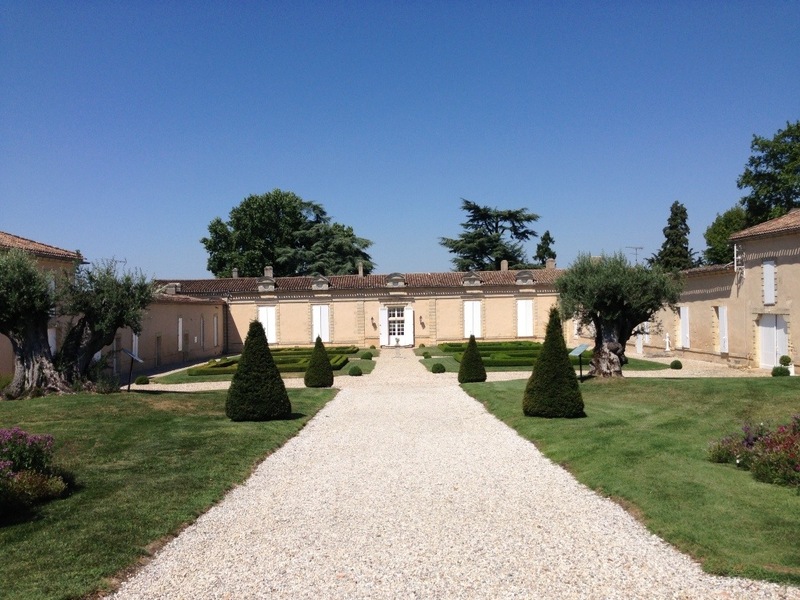 I visited three producers while I was in St Emilion – Chateau Figeac (Premier Grand Crus Classes “B”), Chateau Fonplegade and Chateau Fombrauge (both Grand Crus Classes). 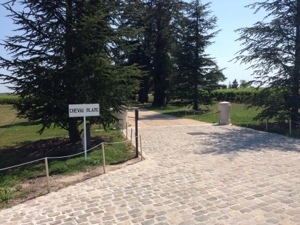 Below are short write ups for each visit along with tasting notes for the wines offered at the end of the tour. Figeac is a 54 hectare estate (40ha under vine) situated on the edge of the St Emilion appellation, right in-between the right bank superstar estates of Cheval Blanc and Petrus (in Pomerol) – at one time many years ago, the Cheval Blanc vineyard was home to the stables at Chateau Figeac… Hence the name! 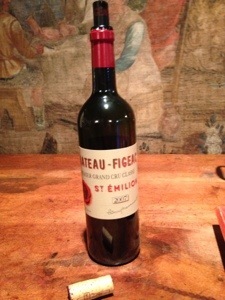 Many commentators believe that Figeac under performed in the 1980’s and 1990’s but are getting back to their best in the past ten years. The soil at Figeac is dominated by gravel and lends itself to a rather unusual variety ratio for a St Emilion estate with 35% Cabernet Sauvignon, 35% Cabernet Franc and 30% Merlot. Vinification is carried out in a 50/50 mixture of open oak- and stainless steel-vats, which takes place after a careful manual selection process. 100% new oak is used to age the first label for 18 months, which us sourced from 7 different coopers to attain the greatest levels of complexity in the final wine. The estate also produces a second label, La Grange Neuve de Figeac, some of which is bottled especially for passengers of Emirates Airlines. 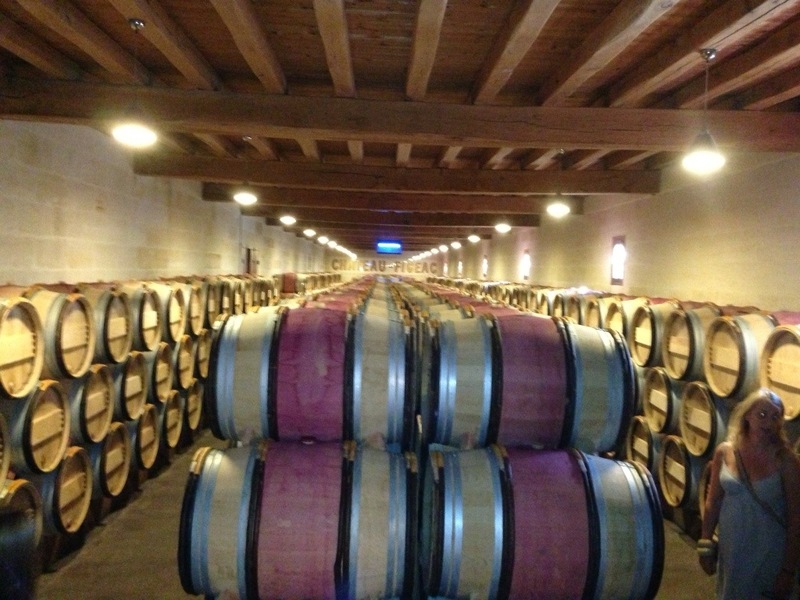 This Grand Cru Classe property has been owned by its American owner, Steven Adams, since 2004. Adams has spared no expense in either the vineyard or the winery in his effort to get the estate a Premiere Grand Cru Classes rating in ten years time. The estate is in its fourth year of organic conversion and hopes to gain its organic certification later this year. 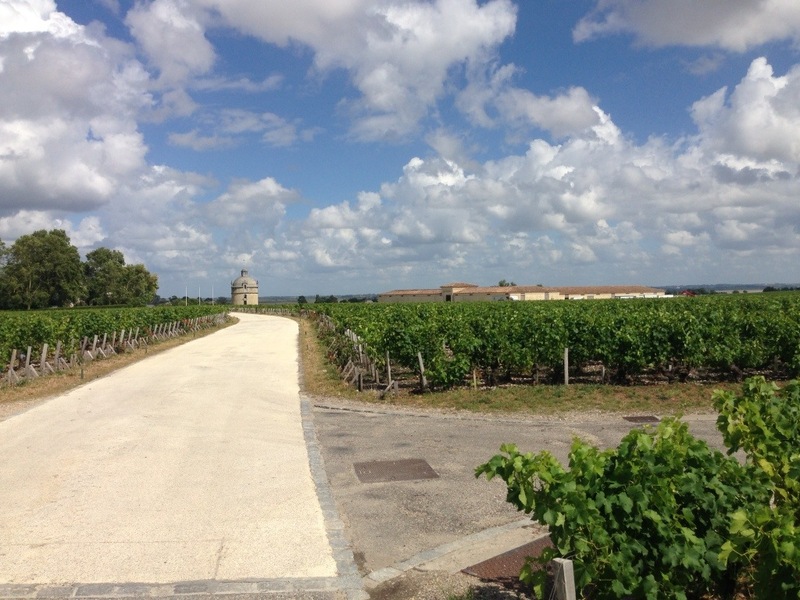 It is only one of two estates at this stage in the entire St Emilion appellation. 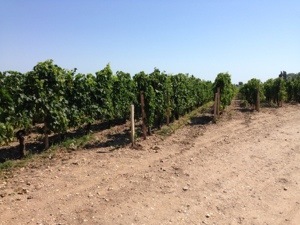 Yields have been cut by half in less than a decade and they are undertaking an annual replanting scheme to ensure the long term of the estate’s production. And best of all for the visitor, you get to see all of this courtesy of a lift in the estates military looking golf buggy, which takes you on a marvellous cruise around some of the property’s 18 hectares. 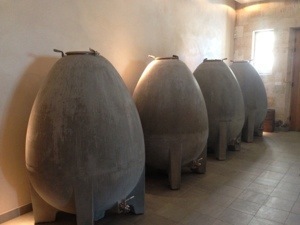 In the cellar the money has also been spent on new wooden and steel tanks as well as the magnificent looking cement eggs, which as they have no corners or edges, give a better uniformity to the liquid, especially in terms of temperature. New barrels are also a big investment for every new vintage – Adams is leaving nothing here to chance. 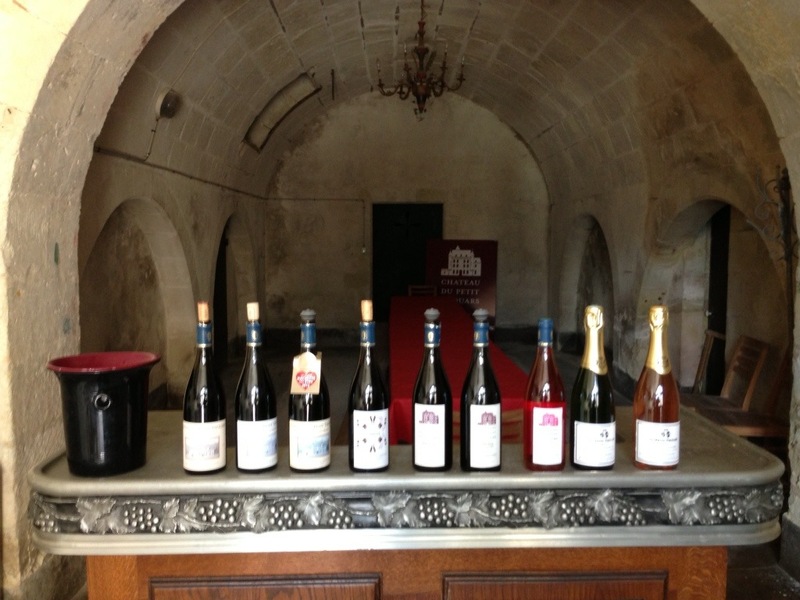 He also allows the winemaker Franck Jugelmann to experiment, and along the tour you are shown the latest new techniques from egg-shaped oak vats to a revival of an all in one fermentation and ageing system. Fonplegade must be one of the best setups for wine tourists in the whole of Bordeaux. From intelligent and knowledgable guides, the trip to the vineyard, the tour of the facilities and the marvellous tasting room and boutique, the estate has put customers at the heart of a fantastic experience. The visit is topped off with a tasting of four wines, and all of this for €15 a person (free if you purchase any wine on your visit). 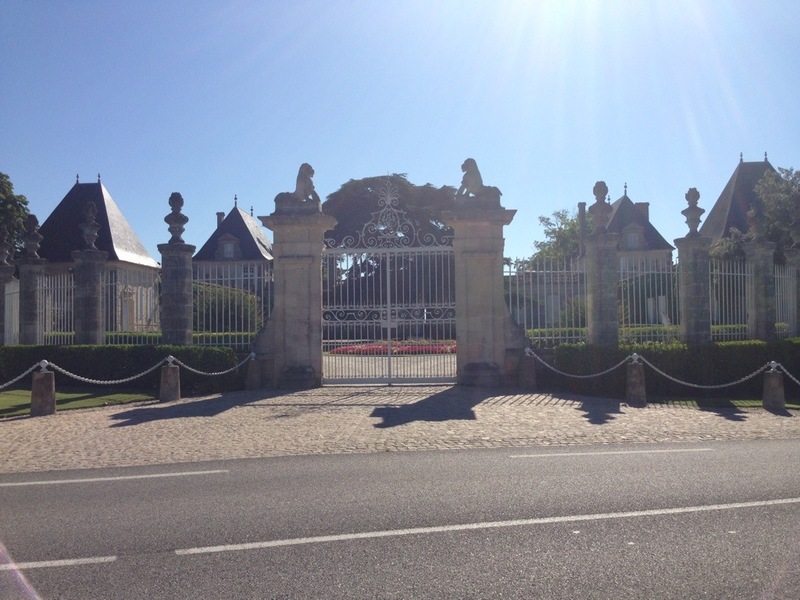 One of 18 chateaux in the Bordeaux owned by Bernard Magrez, Fombrauge is one of the biggest and grandest of them all! 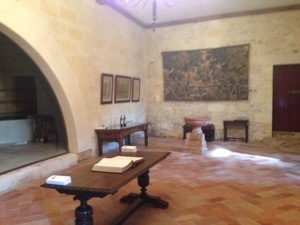 The chateau itself is an impressive single storey building but the newly furnished rooms are gaudy (or if you were being pleasant, traditional!) in the extreme. 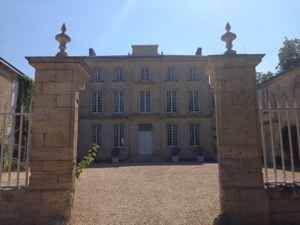 As well as the usual visit around the winery, there is an impressive display of Roman remains that were found during excavation work at the property, and the views from the back of the chateau from a Pomerol to Castillon are truly breathtaking. 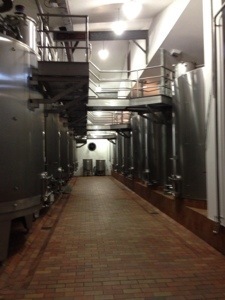 The winery as you would expect is state of the art but with plenty of nods to tradition with well laid out wooden vats along with the huge concrete tanks and modern stainless steel. 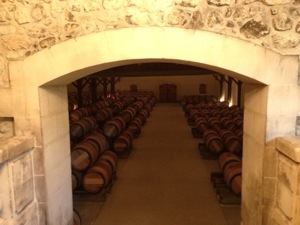 The trip into the chateau’s bottle cellar is also impressive with bottles dating as far back as 1871. 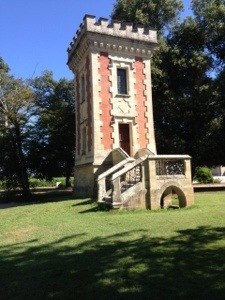 Our guide was excellent and knowledgable but I didn’t warm to the chateau or its wine – there is too much Magrez about it all. Whether its framed photos of Margrez with this president, actor or famous chef, or his cross-keys “crest” that adorns every bottle, glass and paper napkin… I’m here for the wine Bernard! Look, I tried! 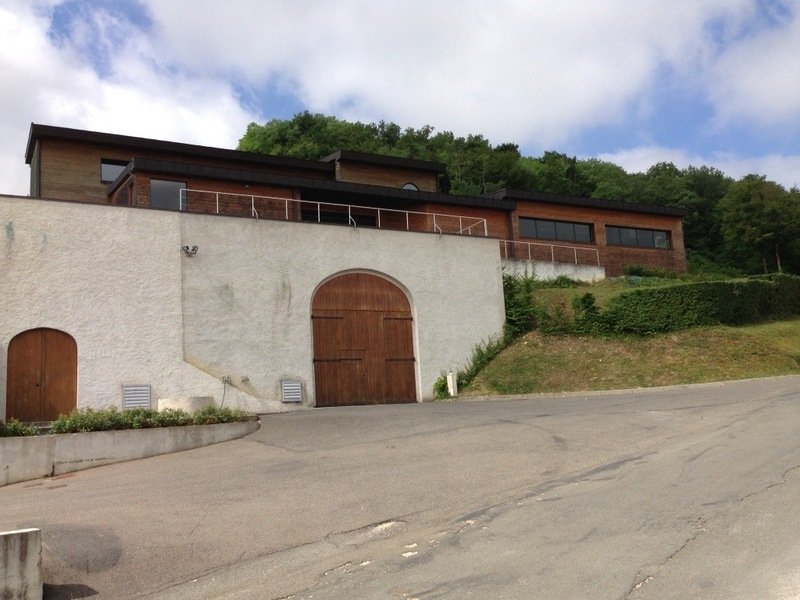 When we came out of Figeac I thought we’d see how close we could get… When I pulled into the driveway, the metal chain rose from the ground and denied access to this adventurous Wine Geek! 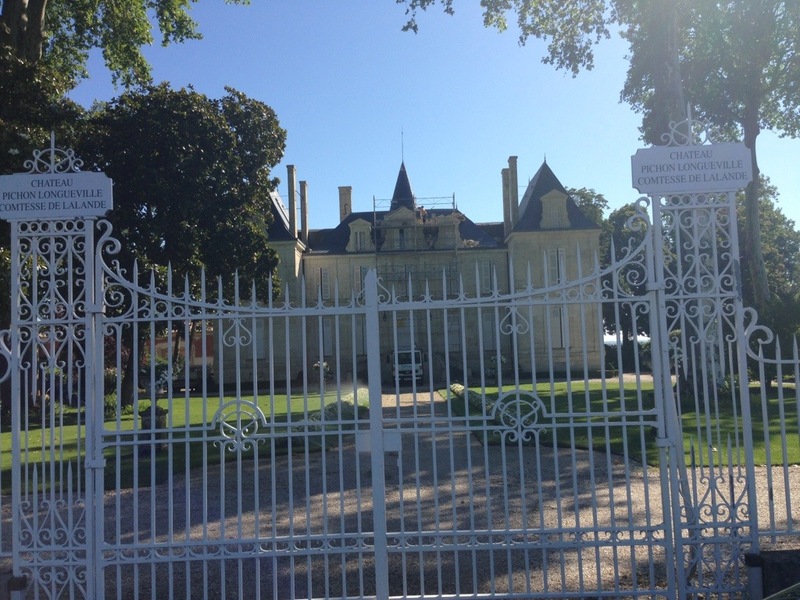 In two chateau visits in Pauillac, the heart of Bordeaux, what was especially interesting (along with the marvellous wines of course) was the juxtaposition of old and new. 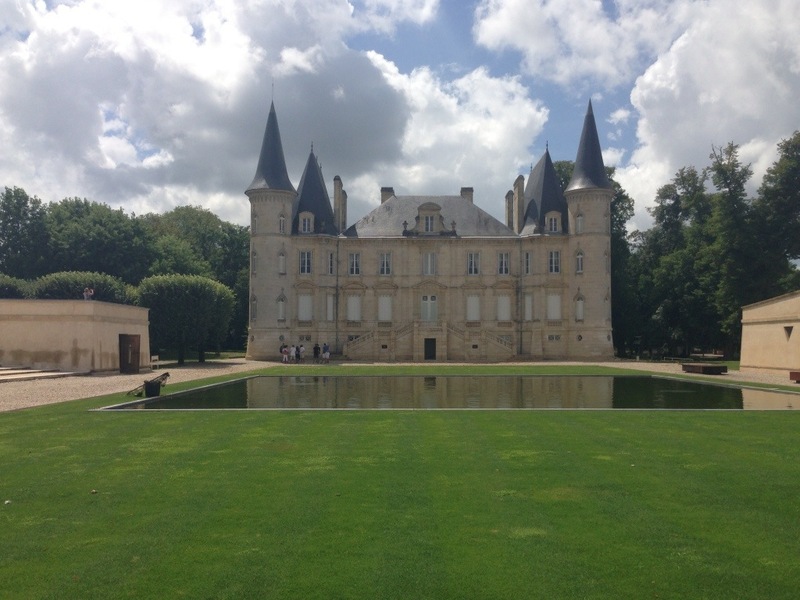 At both Chateau Lynch Bages and Chateau Pichon-Longueville Baron, I witnessed a celebration of the latest technological advances but with a respectful nod to tradition and the way things have been done for centuries. 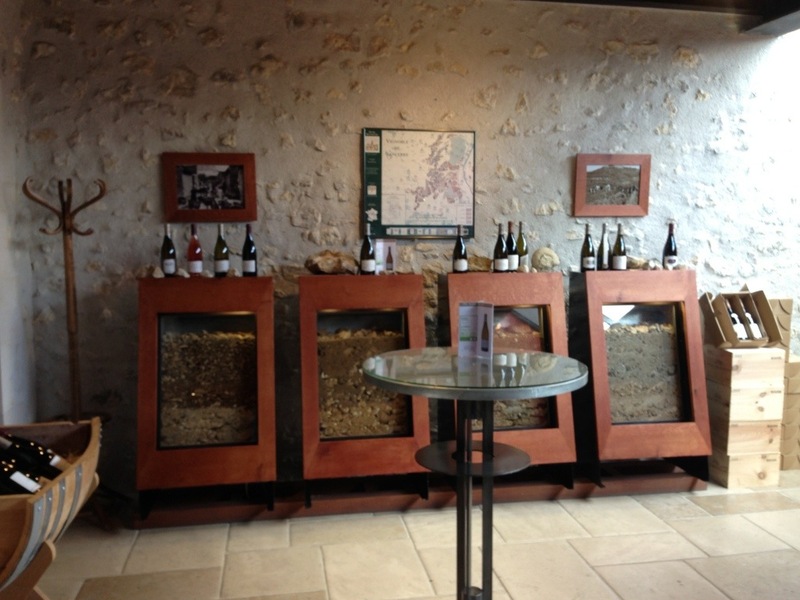 Starting in the airy reception area at Lynch Bages with its minimalist furnishings and soft lighting, you immediately know that money has been spent to ensure you will be well looked after (for your €9 outlay!). Our wonderfully chic guide took us straight into the ultra modern vat room, with its state of the art press and gleaming stainless steel tanks, each built to the perfect size to receive the fruit from its specified plot. 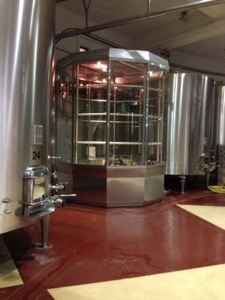 The estate is obviously very proud of its technology but its the old vat room that really inspired me. The smell of the old wooden vats was delightful and knowing they had been in situ for almost 100 years sent a tingle down my spine. The idea of fires and their embers being used to control the temperatures during fermentation is a lot to take in in this day and age. The next stop on the tour was even more impressive. 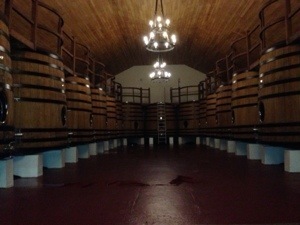 The space above the old vat room has also been preserved as a homage to the past. 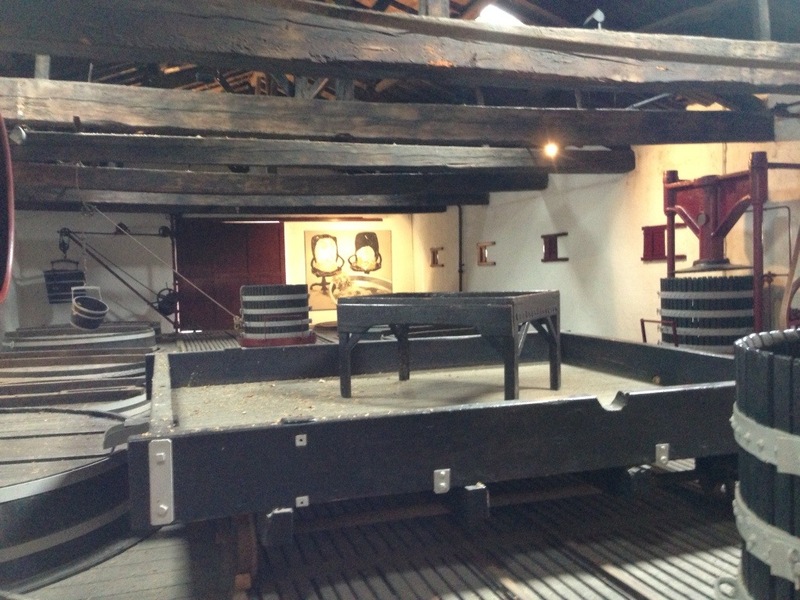 The sorting tables, pulleys and iron tracks used to transport the grapes have all been meticulously preserved, along with the fabulous old screw-press – just think of the work that went into any of your seriously old bottles! We ten passed through the expensive smell of the barrel cellars, brand new bottling line and into the delightful tasting room. 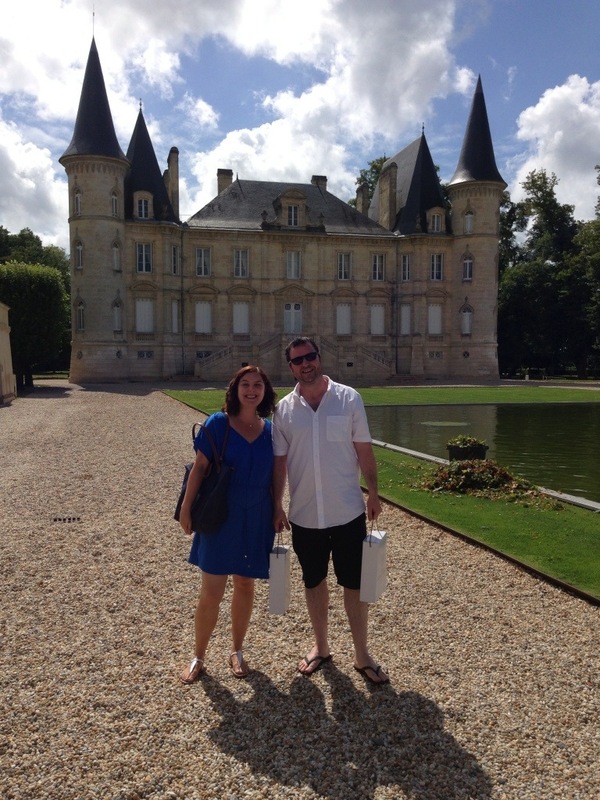 And onto Chateau Pichon-Longueville Baron… I don’t mind telling you I was like a giddy toddler when the Cinderella towers came into view as we approached along the D2! 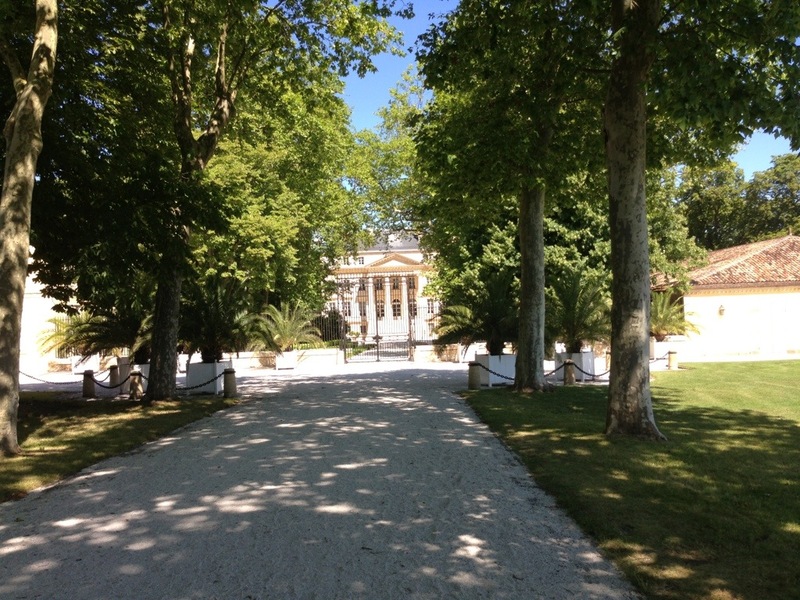 This really is the most beautiful chateaux in the Medoc and it did take my breath away. 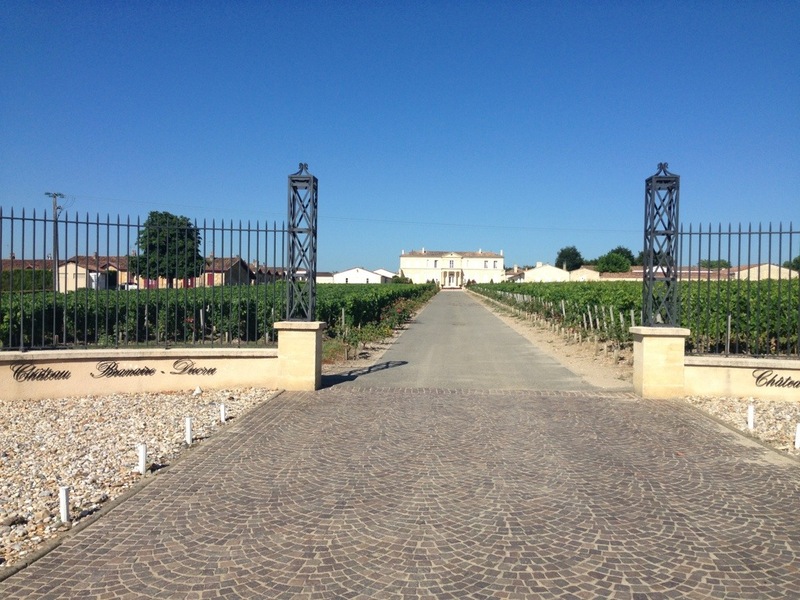 This was one if the first appointments I booked when we decided to tour Bordeaux after I attended a magnificent vertical tasting back in March. Our guide was wonderful… I just wish I could remember her name! On this tour it was just me and The Fish and we laughed all the way round. The chateau looks so traditional and elegant from the outside, but don’t be be deceived, for within, or even below, AXA’s investment appears to have been put towards building a spaceship! 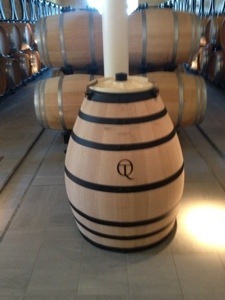 In Chateuneuf aliens may have been outlawed, in Pichon they may actually have landed! But it is very impressive – from the ultra-modern optic sorting machine, to the command centre that is the temperature control booth in the vat room, nothing here is left to chance. 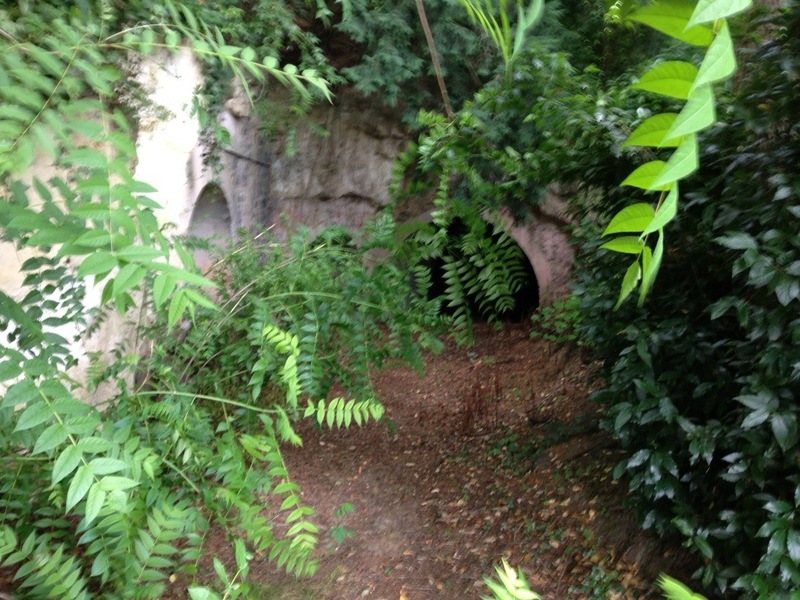 From there its on to one of the barrel cellars, which lies directly underneath the magnificent ornamental lake. 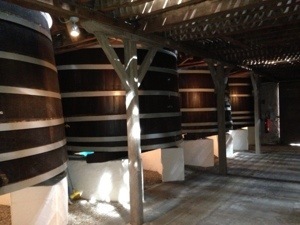 When we were there they were moving some barrels in preparation for a classical music concert… How things have changed! 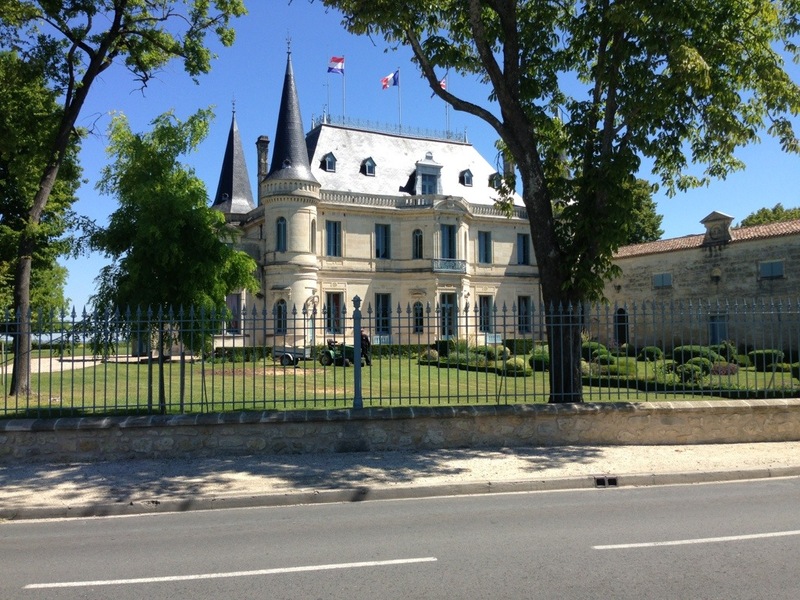 Oh and here’s a photo of Chateau Latour, across the road from Pichon… They wouldn’t let me in! 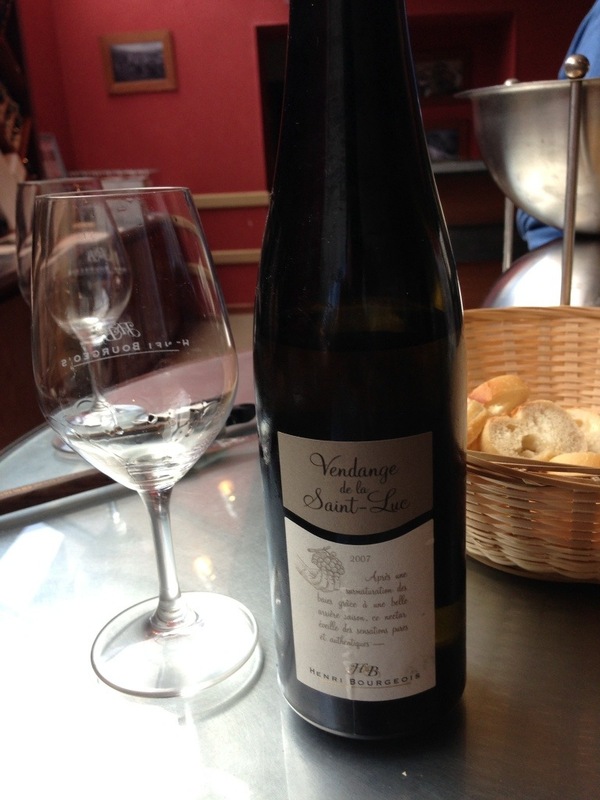 I really can’t wait to get back to The Loire… But unfortunately there’s a week in Bordeaux to do first! 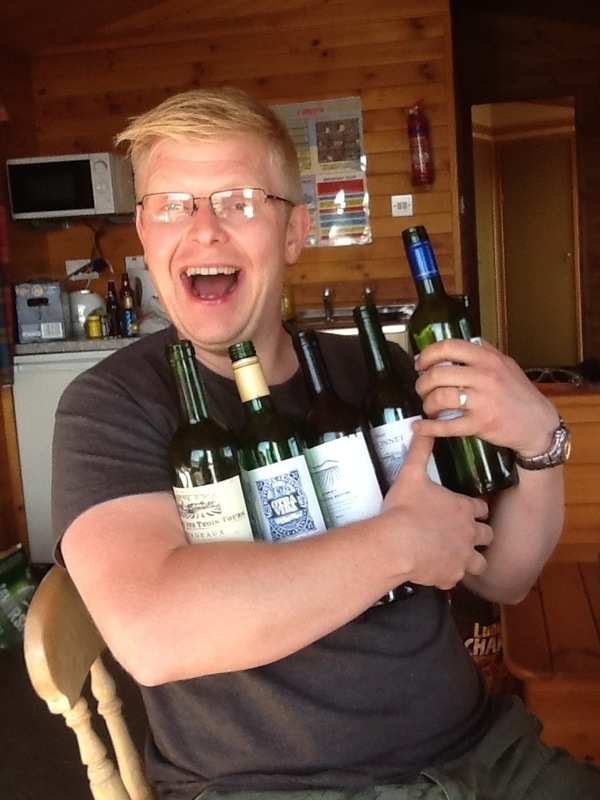 Steak & Wine in Cornwall – seemed like a good idea! I can assure you this sounded like a brilliant idea at the time. 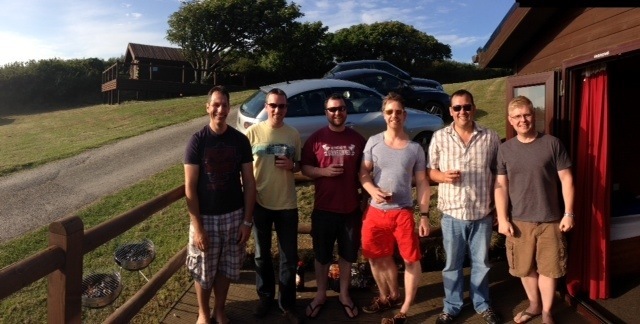 6 guys going away to Cornwall for the weekend; a reward for the numerous spa weekends the wives seem to arrange! 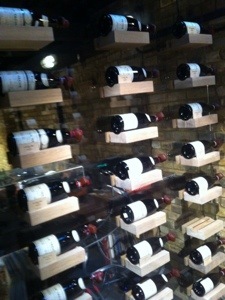 Many of the guys are wine lovers, are interested in learning more about wine and also love their food. 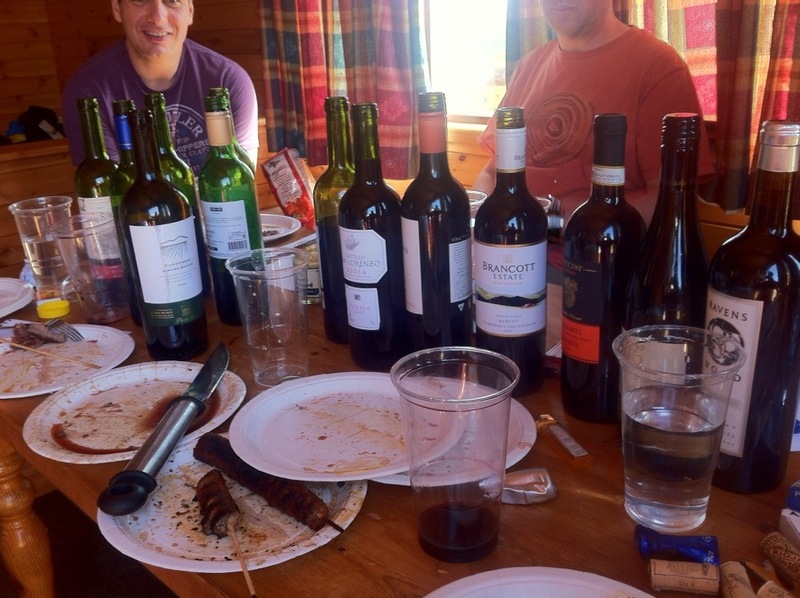 So what better than the suggestion of a BBQ where we cooked up a number of different cuts of beef, and some wines to see what goes together the best? Whatever could go wrong? Well apart from that nothing could go wrong! Despite all of the above we still approached our task systematically and with aplomb. 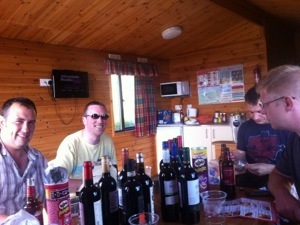 The steaks were cooked up (half way through the wine!) and we scored each of the wines out of 10 to come up with a favourite. 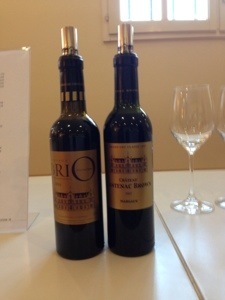 I scored the wines on the 100 point scale also so I could add them into the tasting notes. 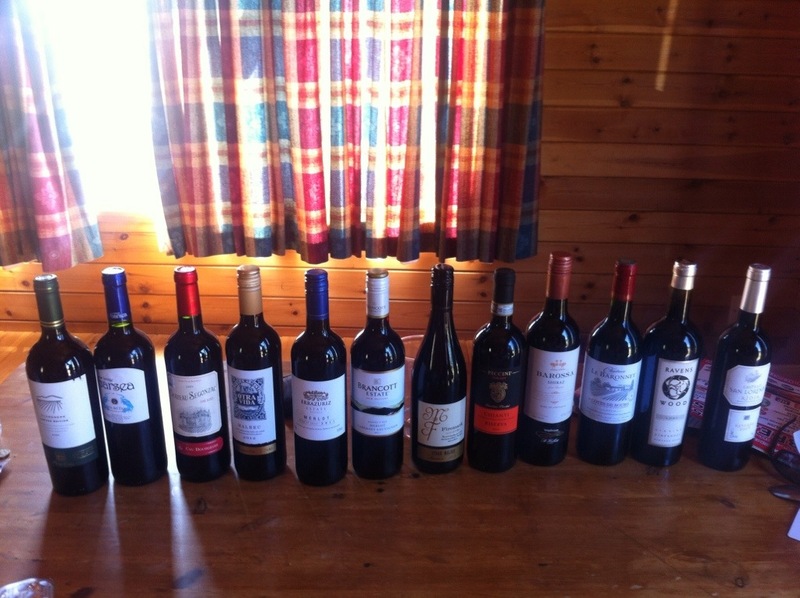 Below are all of the wines in the order they were tasted with a bit of analysis at the end. I looked at the scores we all gave and realized I’m a right tight-arse when it comes to scoring wines! My average score was about 6 and the rest of the team were between 7 and 8. 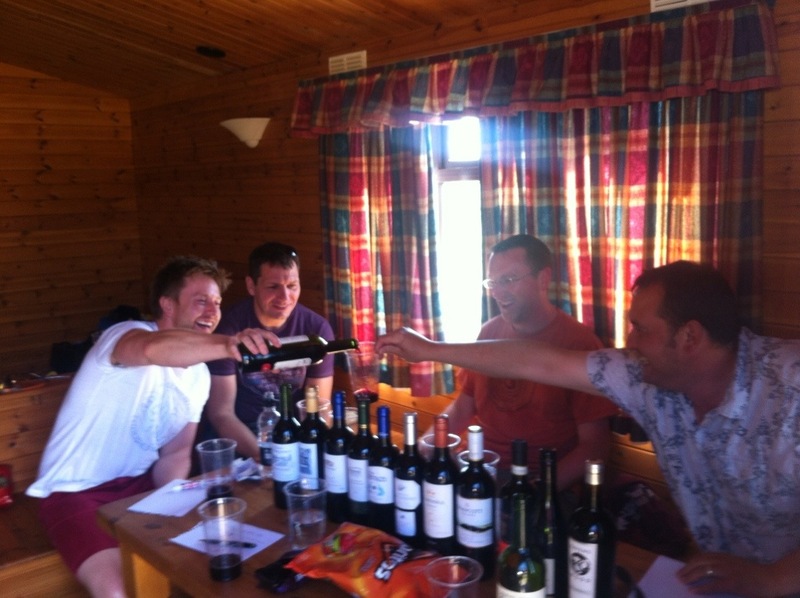 Having said that, we mostly agreed that the best wines on show were the Carmenera, Barosa Shiraz and the Lodi Zin. 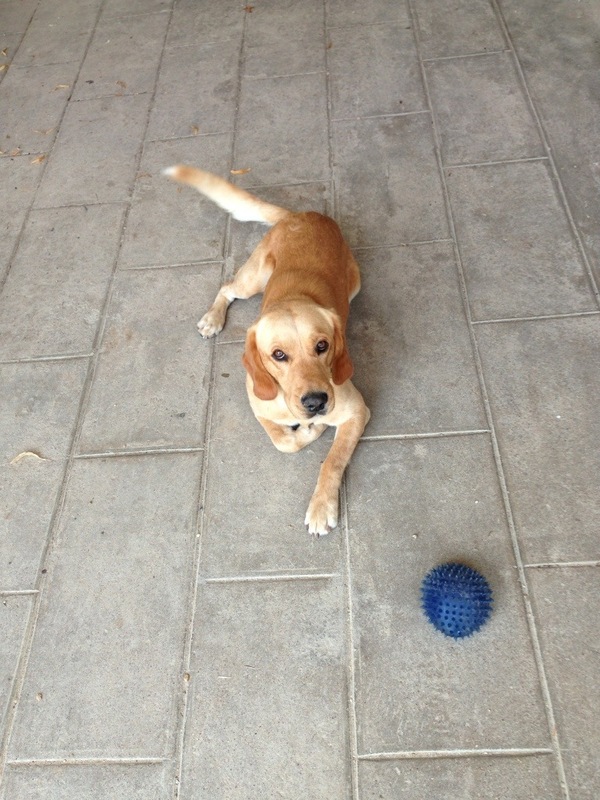 All great fun at the end of the day… Except it wasn’t the end and we had to go back to the club…. AAARRGGHHH!!!!! This really could have been so bad. I could’ve been awful. Elitist, snobby, stuffy, grotesque. 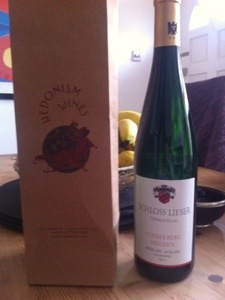 Hedonism Wines is none of this . It’s inspiring, its exciting, its fresh, its fun. 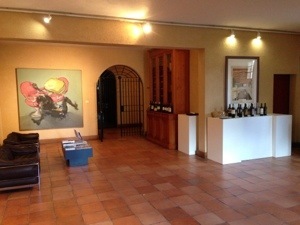 It’s an art gallery for wine geeks. I can’t believe its taken me this long to go – it certainly won’t be long before I go back. What Hedonism have done so well is realising that 1% of their clientele will deliver the money and the other 99% can enjoy themselves without the fear of being patronised or spoken to in a condescending manner. The staff are brilliant. They will spend as much time with you as you want with no pressure put on to buy anything. Nothing is out of bounds – if you want to see and hear all about the Penfolds Grange vertical containing every vintage since 1951, not a problem. If you are interested in German Riesling, brilliant, they’ll talk you through what’s good and why, then discuss top and bottom end recommendations… If you want. They will deliver your wine to you for free the same day anywhere in London, whether its a case of DRC at £12,000 or a bottle of Napa Cabernet for £20 (the are 500 wines under £30). They should really provide a floor guide like you get in the great museums of Europe, with all of the must see installations. 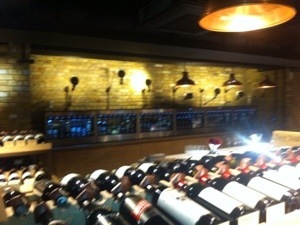 Penfolds Grange, tick. 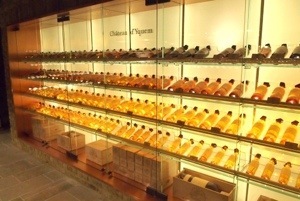 D’Yquem wall, tick. Big bottles, tick. Mouton Rosthchild vertical, tick. It’s not a huge place but you will not want to leave anything out. Oh and don’t miss the Sine Qua Non room – I’d never heard of them before but the stunning display is worth the visit alone. 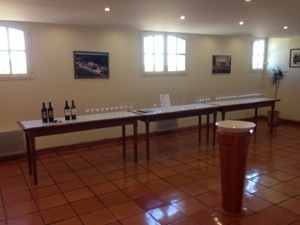 Then there’s the tasting table. There are 48 wines to taste from the Enomatic sampling machines. Get yourself a card, load it up with some cash and away you go. All of the wines are dispensed in 25ml tasting measures, which start from around £1 for a Slovenian Sauvignon or Douro table wine, all the way up to £30 (ish) for a taste of Cheval Blanc 2006 or a 100-point Chareau d’Yquem 2001. The glasses are Riedel of course and the staff are on hand to make recommendations or you can just design your own flight. We tried some delicious Aussie Riesling, the Slovenian Sauvignon, a Gewurtz from Alsace and a Leflaive Bienvenues-Batard-Montrachet 2005 – superb. 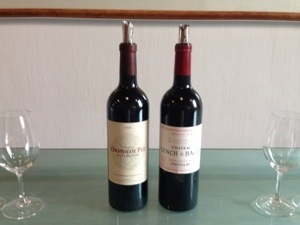 On reds we tried an excellent Napa blend and then the Pomerol and St Emilion offerings from Secret des Grands Chefs – a recent venture designed to take on the first growths. 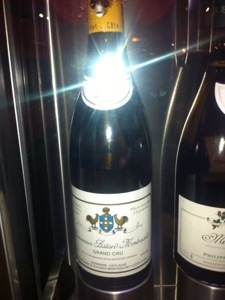 And the 2009s certainly show great potential. I loved my first visit to Hedonism and can’t wait to return. I’d like to say a huge thanks to Roland who was the most amazing host and provided so much insight and so much passion… And also recommended a fine German Riesling which I took away as a suitable souvenir… Well I had to!